Ready or not the holidays are here! With Thanksgiving days away and December here shortly thereafter there’s no turning back now. 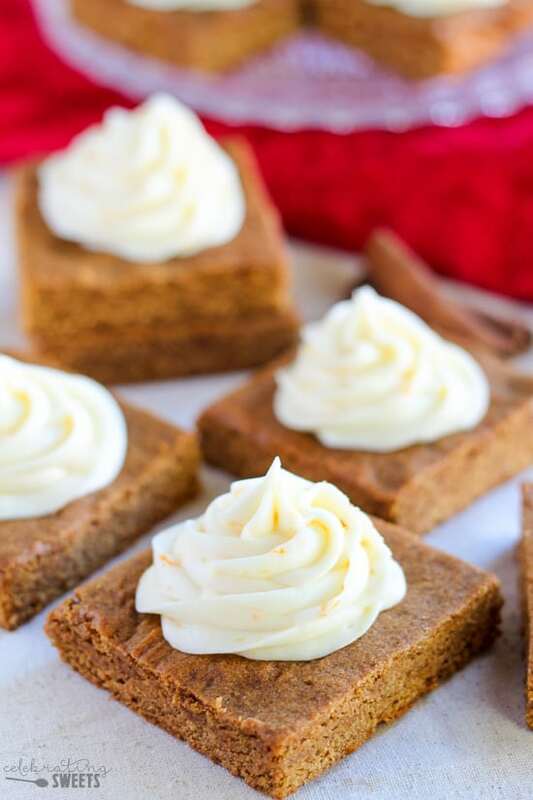 Let’s gear up for holiday baking season with these Chewy Gingerbread Bars with Orange Cream Cheese Frosting! Nothing says holidays like the flavors of ginger and molasses. 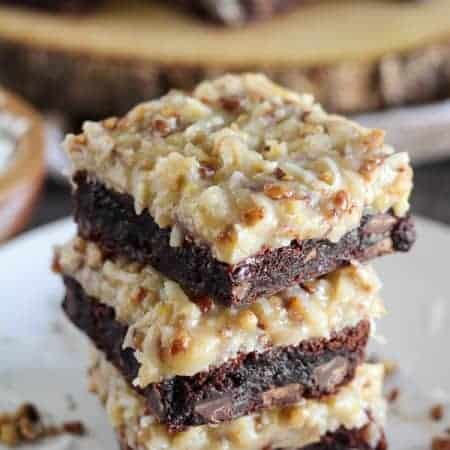 One bite of these bars will have you reminiscing of holidays past. They are like a thick ginger molasses cookie! 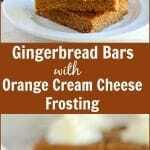 I balanced the warm spices and deep molasses by topping them with a tangy orange cream cheese frosting. The frosting is filled with flecks of orange zest and fresh orange juice. You can pipe frosting onto each bar (as pictured) or spread it across the whole pan. Whichever you prefer. 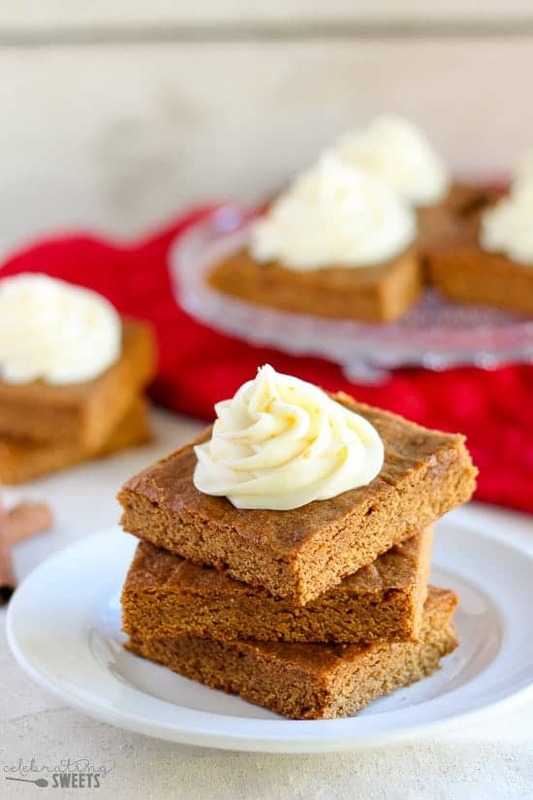 These gingerbread bars are sweetened with SPLENDA® Brown Sugar Blend. The SPLENDA® SWEET SWAPS™ initiative is about making balanced decisions for a healthy lifestyle. Swapping out sugar for SPLENDA® reduces the sugar and calories in your favorite sweet treats so that you can enjoy a sweet life with out added calories from sugar. 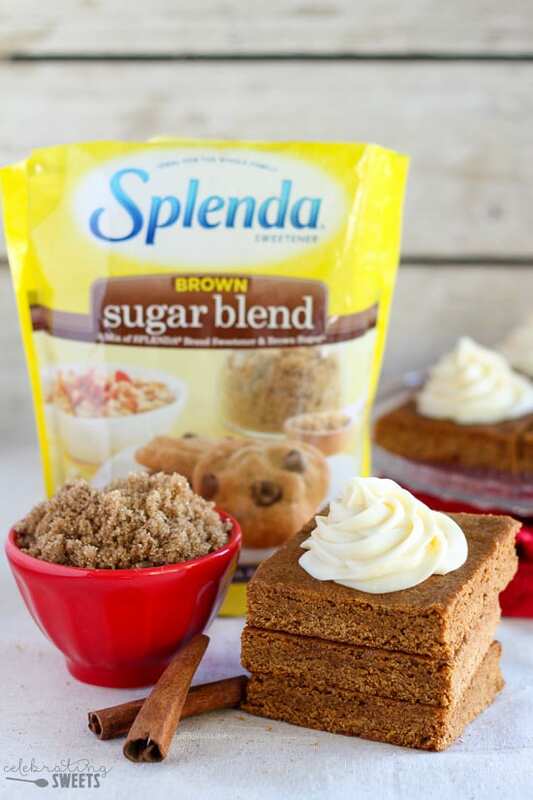 I picked up SPLENDA® Brown Sugar Blend at Walmart in the baking aisle. 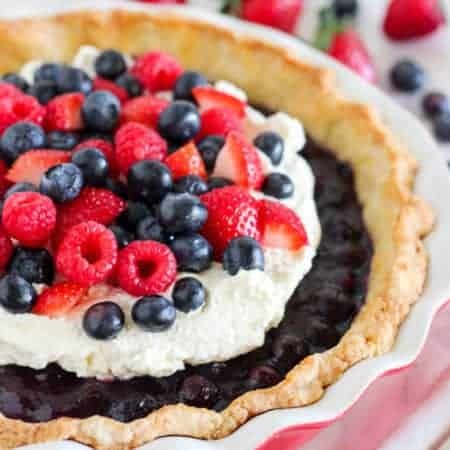 See here for the various SPLENDA® products Walmart has to offer, and be sure to check out more delicious recipes using SPLENDA®. And last but not least, I’d like to wish you all a safe and Happy Thanksgiving. Thank you for reading, and sharing, and trying my recipes. I am so thankful to have you here. 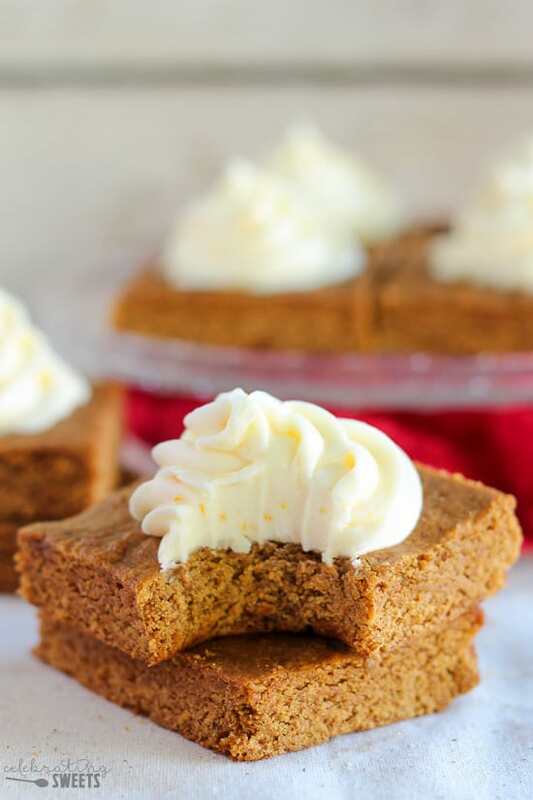 Chewy ginger molasses bars topped with orange cream cheese frosting. Preheat oven to 350°F. Grease a 9x13 pan or line with foil (leaving overhang on two sides) and grease the foil. Using a hand mixer or stand mixer, beat butter and SPLENDA® Brown Sugar Blend for about 1 minute, until smooth and creamy. Add molasses, egg, and vanilla and beat until combined, scraping the sides of the bowl as needed. In a separate bowl, combine flour, spices, baking powder, and salt. Add flour mixture to the wet ingredients, beating until combined. Spread batter into an even layer in the prepared pan. The batter will be thick. I dampen my fingers with water to help press the batter into an even layer. Bake for about 20 minutes, until the top is dry. The bars might seem slightly underdone but they'll continue to firm up as they cool. Place pan on a wire rack to cool completely. 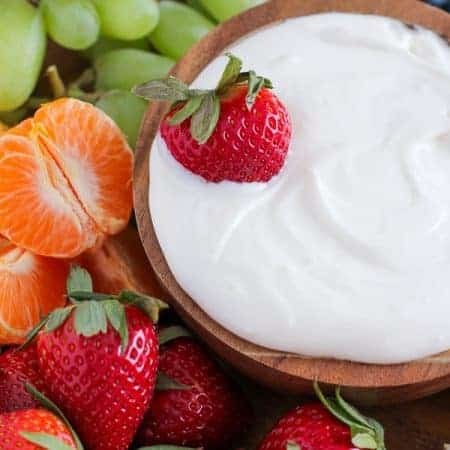 Using a hand mixer or stand mixer, beat cream cheese and butter until smooth. Add powdered sugar, orange zest and vanilla, beating until combined. Beat in orange juice, 1 teaspoon at a time, until you reach your desired consistency. Pipe or spread the frosting on the cooled bars. If desired, you can omit the frosting and dust the bars with powdered sugar. I like these with regular sugar, I don’t have Splenda.